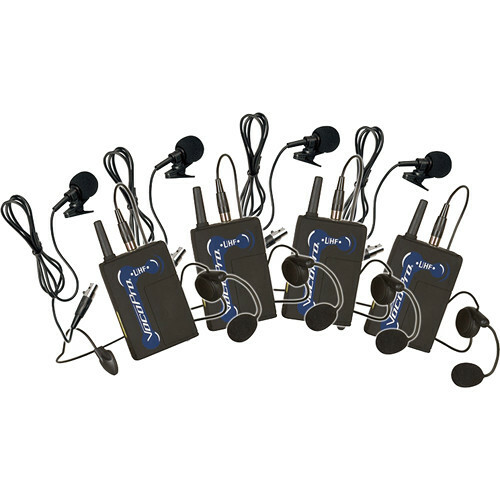 The UBP-8 UHF Wireless Bodypack Microphone Set from VocoPro features four wireless bodypack transmitters, four UHF-BP1 headset microphones, and four lavalier microphones set to frequencies U, V, W, and X. The package is ideal for use with VocoPro multi-channel receivers such as the UHF-8800, UHF-5800, and UHF-5805. Box Dimensions (LxWxH) 12.0 x 8.6 x 4.8"